All equipment is inspected regularly for safety and used only with ample matting and supervision. 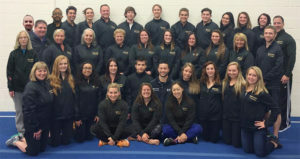 Bright Raven has trained USAG state champions, regional and national qualifiers, and numerous team members who have gone on to become valuable additions to their college teams. 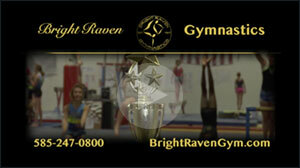 Bright Raven also offers a wide variety of recreational gymnastics classes for those not interested in a competitive program. All of our programs have a low student-instructor ratio, and are run in an atmosphere of positive reinforcement and encouragement. Our goal is to bring out the best in each child! We work closely with each student to help them to gain in poise, self confidence, and the willingness to try new and different activities.